I would like to believe that rehabilitation mattered in the prison system. If rehabilitation mattered to the system, administrators would have released me many years ago. After all, during my first eight years of confinement, I earned an undergraduate degree from Mercer University and a graduate degree from Hofstra University. I was 31 and as ready as I ever would be for release. Although the steady commitment I made to prepare for a law-abiding life had meaning to me and demonstrated my commitment to reconcile with society, neither my prison adjustment nor my rehabilitation had meaning to corrections. 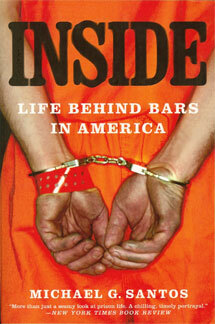 Prisoners who spend years or decades inside this system sense the hopelessness. They recognize the administrative indifference to rehabilitation. An individual who strives to educate himself in prison must overcome daily hurdles, as rules block his access rather than encourage him. Besides the obstacles that are ancillary to confinement, prisoners cope with the emotional strain of being separated from loved ones. Since many prisoners lack the emotional or psychological strength necessary to commit to sustained efforts to prepare for success upon release, and the corrections system offers little in the way of shaping positive prison adjustments, many prisoners fail to acquire the skills or support networks necessary to overcome the challenges that await release. As recidivism rates show, many prisoners return to confinement. It is no accident that their time in corrections has conditioned the prisoners for failure.